An attempt to arrest car dealers in Kaduna took another turn after the car dealers ganged up and attacked operatives of the Nigerian Customs. 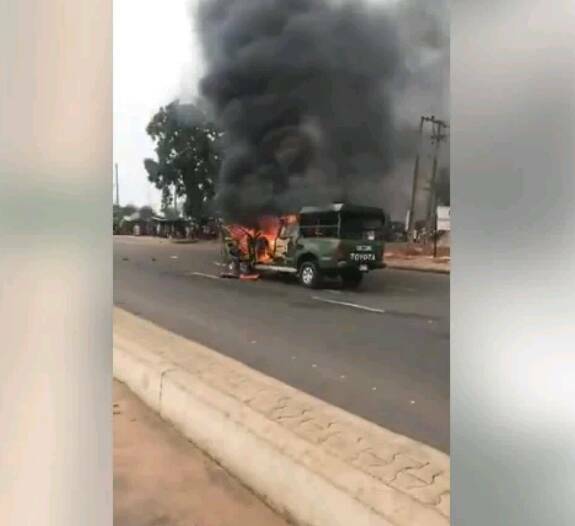 According to reports, the incident happened along Rabah road junction in Kaduna after Car dealers/ car importers ganged up to avoid being arrested. The custom operatives took to their heels to avoid being lynched to death. The car dealers however set the abandoned cars of the custom operatives on fire.